We love it. It’s great. But Texas can do better. And Texas should do better. 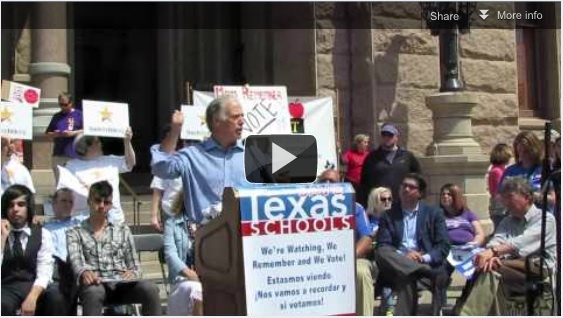 I spent part of last Saturday at the Save Texas Schools rally at the Capitol. It was an energizing, exciting day. Thousands of folks came out from across the state declaring that the future of our schools and our kids is worth getting right. 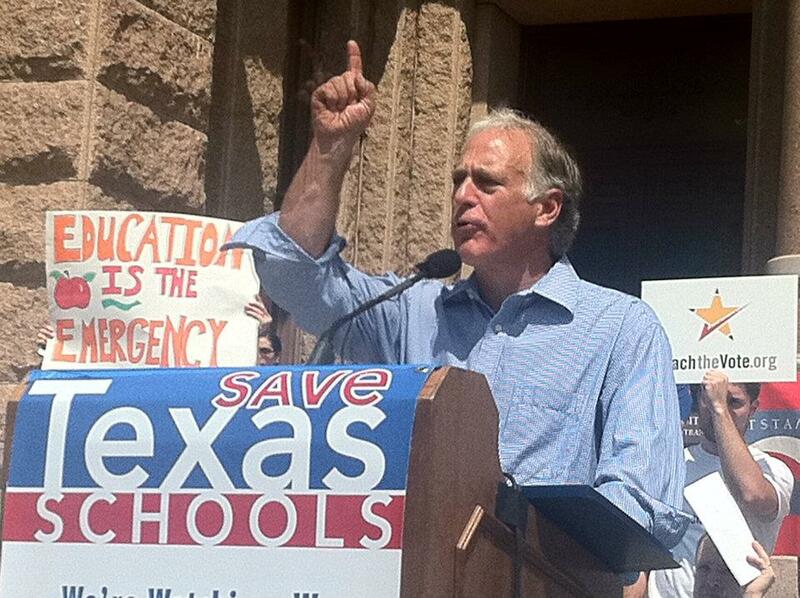 They – we – called for Texas to do better when it comes to investing in education and our future. We need to require honest budgeting so that when the state government promises to spend taxpayer money on public schools, broken promises can’t be covered up with accounting tricks. We need to provide a permanent solution to school funding. And we should invest in early childhood education so children come to school ready to learn. Let’s not be confused: Texas isn’t this Capitol building or the people who control it. It’s not an extreme, short-sighted legislature or cynical, politically driven politicians. 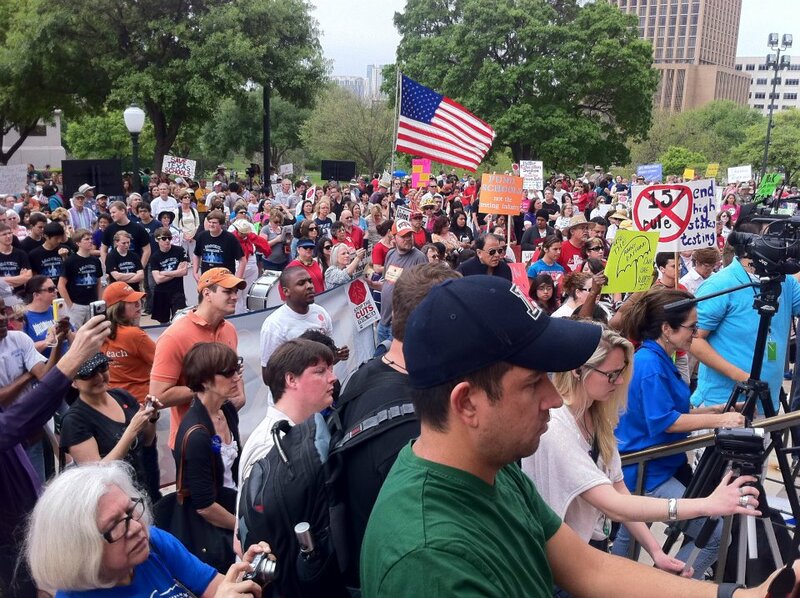 Texas, the real Texas, believes in its schools. … Texas believes in you. Our founders believed in you so strongly, they said in our constitution that those in control of this building cannot, they must not, allow our education system to break down. It’s heart-breaking that Texas’ children, parents, teachers and others have been so damaged by the decisions made in this building. It’s tragic that hundreds of school districts felt that they had no choice but to sue the state to force those in control of Texas to do better when it comes to our kids and our future. And I’m under no illusions about what every single one of you is facing. I know it’s crushing to teach in classrooms filled with more and more students; or to drop your kids off wondering if they’ll have the same opportunities you did; or to sit in class, with less and less support, trying to learn everything that the 21st Century will demand of you. But the truth we need to remember – the reason we’re here today – is that Texas can do better. No matter how bad things get, I’m proud – and you should be proud – to live in a place where history, the people and the law are on our side. So what I want to tell you today is … don’t give up. Keep fighting. Keep believing. Know that Texas and Texans are with you. And … we will prevail. We will create the great schools that Texans deserve. Because Texas can do better. Texas has done better. Texas must do better. And, with your help, Texas will do better. Thanks for your passion and concern about our schools. God bless you, God bless Texas, God bless our children and their futures, and God bless Texas schools.